The no. 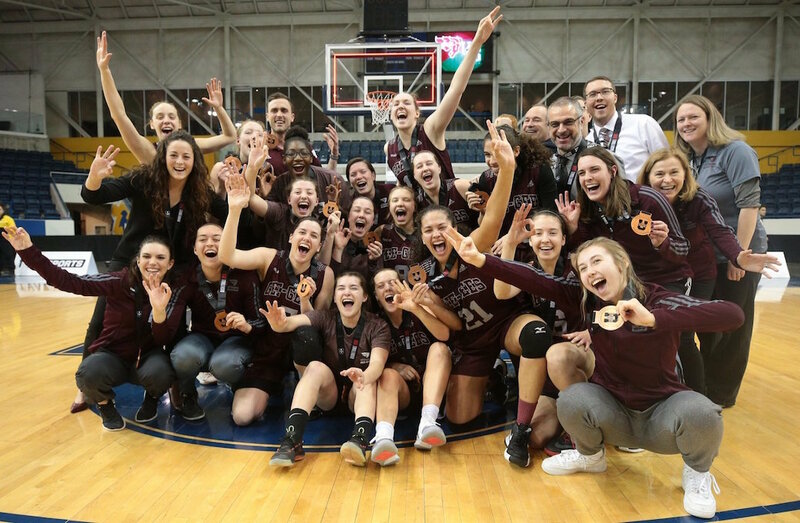 4 Ottawa Gee-Gees overcame a 19-point deficit to claim the 2019 U SPORTS bronze medal in a 63-62 win over the no. 3 Saskatchewan Huskies on Sunday afternoon at the Mattamy Athletic Centre in Toronto. Ottawa’s national bronze medal finish was their best since 2012. The Huskies would dominate much of the first quarter, pulling ahead 19-12 after 10. Ottawa struggled to make their shots in the opening quarter, going 5-for-16 from the floor and sinking just one three-point shot. The Huskies would also control the play on both sides of the court, out-rebounding Ottawa in the defensive zone and tallying 10 points in the paint on the other side. The second quarter saw higher scoring numbers for both teams, but Saskatchewan continued to dominate play on all ends of the floor. The Huskies outscored Ottawa 22-15 in the second, going on to take a 41-27 lead at the half. ?? 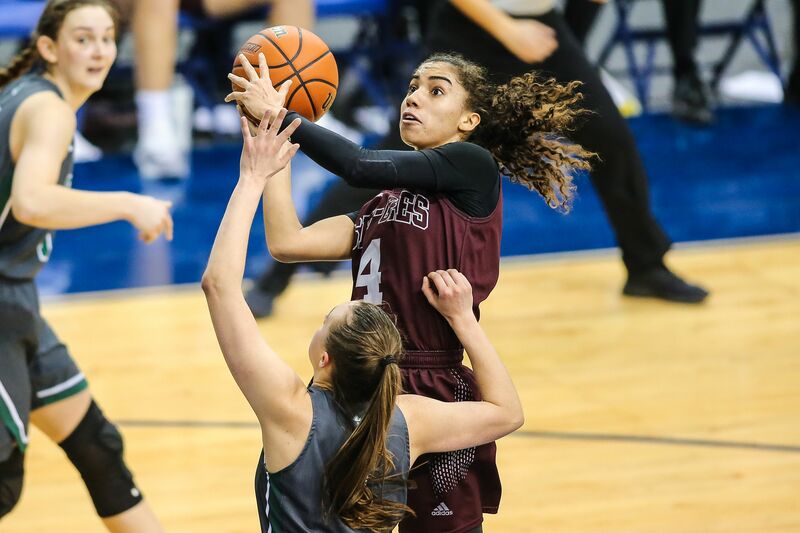 | @uOttawaGeeGees are the U SPORTS Women's Bronze medalists after defeating @HuskieAthletics 63-62. ? Saskatchewan went 17-for-33 (52 percent) from the floor in the first half of the game while continuing their exceptional play in the paint. 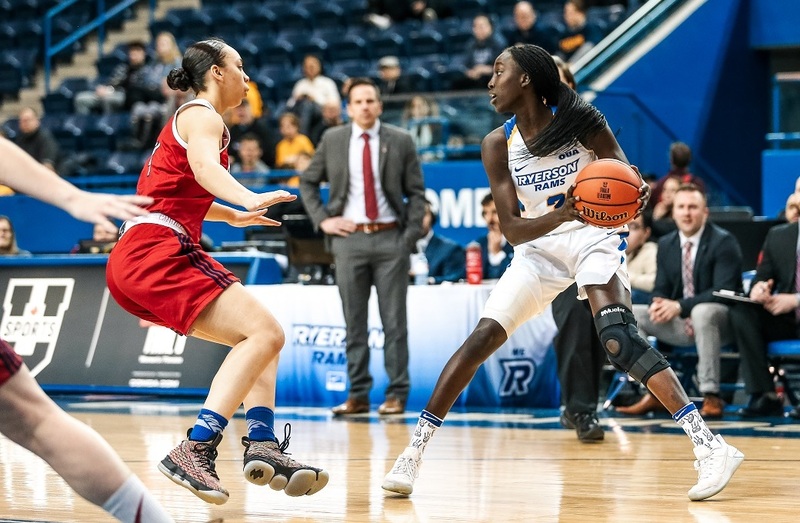 The Huskies succeeded in shutting down Ottawa’s three-point shooters; Ottawa would hit just one three-point shot for the second consecutive quarter, falling behind by 14 points after 20. Saskatchewan’s Summer Masikewich (Calgary, Alta.) and Kyla Shand (Saskatoon, Sask.) led the game with 10 points each at the half. Ottawa’s remarkable third-quarter efforts not only kept the game within reach, but helped the team reclaim the lead. Outscoring the Huskies 21-6, Ottawa would sink 10 field goals and held Saskatchewan to just two on 19 attempts. A three-point shot by Ottawa’s Alana Renon (Ottawa, Ont.) would give the Gee-Gees a 48-47 lead over the Huskies heading into the fourth quarter. “The way we came out at half really changed the game,” says fourth-year guard Brooklynn McAlear-Fanus. “It helped us gain confidence and momentum, and we got a great result out of it." The Gee-Gees carried their exceptional run into the fourth, pulling away with a seven-point lead with six minutes remaining in the game. Saskatchewan wasn’t going down without a fight, though — the Huskies would sink multiple shots in the paint in the next few minutes, bringing the game within one with just under three minutes left on the clock. Ottawa would hold off Saskatchewan’s late-game efforts, completing the comeback and taking a one-point win to claim the U SPORTS bronze medal. Brooklynn McAlear-Fanus (Ottawa, Ont.) was named Ottawa’s Player of the Game after recording 12 points, eight assists and four rebounds in the win. Also leading Ottawa through their comeback efforts was Sarah Besselink (Kingston, Ont. ), who had a team-best 13 points. 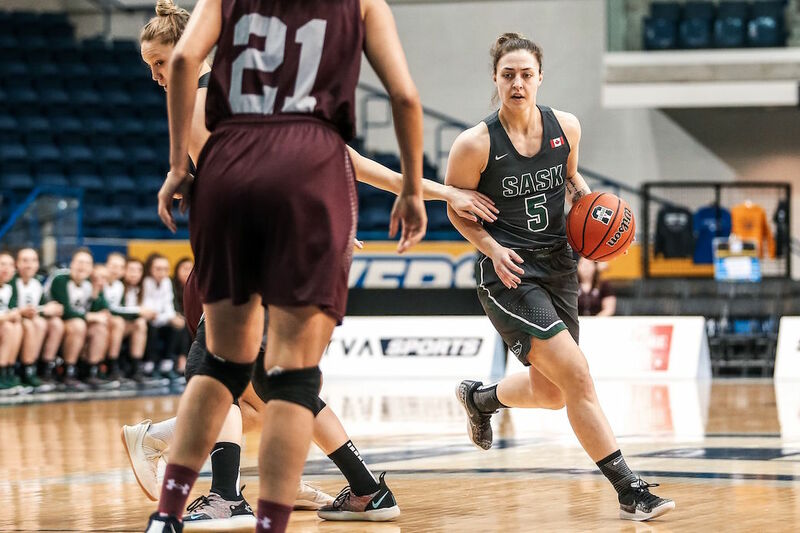 Saskatchewan’s Sabine Dukate (Ventspils, Latvia) had 15 points, four assists and four rebounds in 35 minutes on the floor. The U SPORTS Bronze medal was the second in program history for Ottawa. “It’s a moment our players will never forget,” adds Sparks.